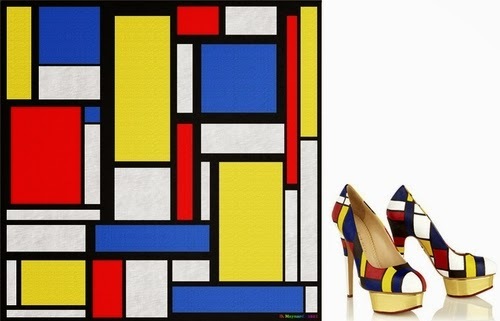 Talented Artist derives inspiration from classic works of art to paint these high heels. Boyarde Messenger, is said to paint on everything but paper. Nice to see someone making something as mass produced as shoes in to something individual and unique. Just show that if you have the will, you can customise just about anything. 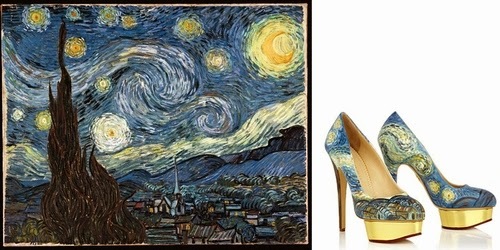 Shoes from (Charlotte Olympia's Dolly Pumps). 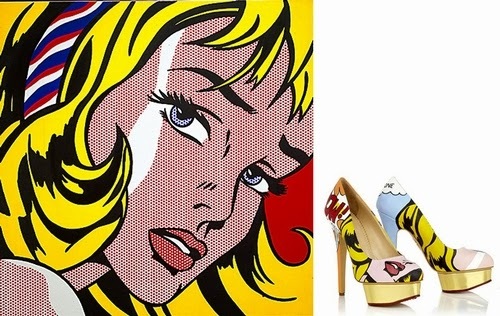 Roy Lichtenstein - Girl With Hair Ribbon. 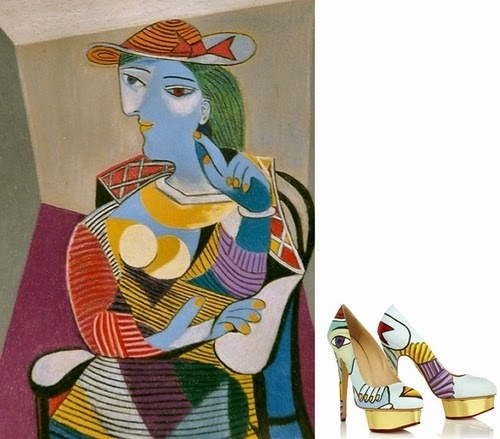 Pablo Picasso - Seated Woman. Howard Hodgkin - Dinner At Smith Square.